This article is about the Golden Ring of Russia. For other uses, see Golden Ring (disambiguation). These ancient towns, which also played a significant role in the formation of the Russian Orthodox Church, preserve the memory of the most important and significant events in Russian history. The towns have been called "open-air museums" and feature unique monuments of Russian architecture of the 12th–18th centuries, including kremlins, monasteries, cathedrals, and churches. These towns are among the most picturesque in Russia and prominently feature Russia's onion domes. Sergiyev Posad the only city in the Moscow Region to be included in the Golden Ring is Sergiev Posad which is closely linked with the UNESCO-protected Troitse-Sergieva Lavra which was founded in the 14th century by St Sergius of Radonezh. The Lavra is now one of the most important religious sites in Russian and St Sergius is one of the most revered native Russian saints. Pereslavl-Zalesskiy is the birthplace of Aleksandr Nevsky – a celebrated Russian hero, prince and saint. It also has links with Peter the Great who used to have a toy flotilla here on Lake Plescheevo. In addition the city also boasts a beautiful 12th-century cathedral, earthen mounds and six monasteries, four of which are active. Rostov Velikiy is known as Rostov-Veliky (Rostov the Great) to distinguish it from the larger Rostov-on-Don. It is among the oldest of cities in Russia, having first been mentioned in chronicles in 862. Its most impressive sight is the white-stone kremlin which stands on Lake Nero and is now a museum-reserve. The city also has three monasteries and museums dedicated to the art of painting on enamel for which the city is famed. Yaroslavl is considered the unofficial capital of the Golden Ring and is also a UNESCO World Heritage Site. 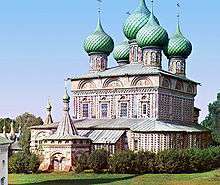 It is believed to have been founded in 1010 by Prince Yaroslav the Wise, after whom it is named. The city’s main sight is the Spaso-Preobrazhensky Monastery which is now a museum and among its many beautiful churches the most famous are St Elijah the Prophet’s Church and the John the Baptist’s Church, both of which are beautifully decorated with frescos. Yaroslavl is just a four-hour express train ride from Moscow. 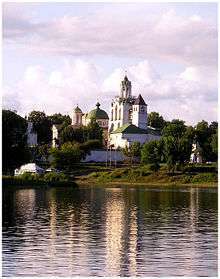 Kostroma Like Moscow, Kostroma is believed to have been founded by Grand Prince Yury Dolgoruky in the 12th century. The city is most famous for its Ipatievsky Monastery which has links with the Romanov Dynasty as the first Romanov tsar – Tsar Michael – was here when he was made tsar. Kostroma is the Golden Ring city furthest from Moscow and can be reached by a night train from the capital. Ivanovo is both the youngest and the most industrial of all Golden Ring cities. 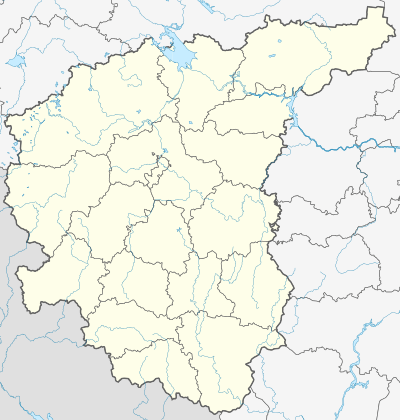 Previously the city was known as Ivanovo-Voznesensk after the two villages which merged to form the new city in 1871. It is forever connected with its once-booming textile trade which led to the city being known as Bride City and Russian Manchester. Many of these cities are to be found along the M8 highway or can be reached from Yaroslavsky railway station in Moscow. Jeffrey Tayler, Escape to Old Russia: The Golden Ring, northeast of Moscow, offers a respite from the capital and an immersion in the past, The Atlantic, October 2006.